Superiors Factory Shop Floor Clearance service has been used by business owners for many years. We have experience of small, medium and large close downs and relocations all across the UK. Our technicians can safely dismantle any machinery and package it for sale or transport to its next location. We also remove all rubbish and provide you with the waste transfer notes or waste disposal receipts and can clean the premises to the highest standards. Superior are No1 for Factory Shop Floor Clearance. We can remove everything requested – from desks, chairs, filing cabinets and paperwork to electrical appliances, computer parts, carpets, scrap metal, heavy machinery & junk. Our specialist operatives can dismantle plant and machinery, then move and dispose of them as necessary. We can clear a factory of any size; we also clear storage units, shops, offices and hotels. Our well-trained and uniformed staff are highly professional (we do not use subcontractors). We pride ourselves on our reliability, punctuality and accountability. Covering the 5 day working week across the West Midlands for factory clearance, other times by arrangement. 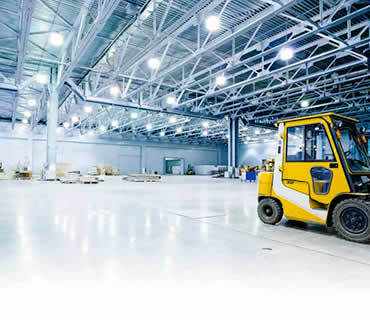 Full public liability insurance for factory clearance. We provide all waste transfer notes & waste disposal receipts. Full factory clearance risk assessment. Comply with all Health and Safety at Work Regulations. Need a competitively priced reliable clearance or removal service. Why not Request A Free Quote now.